loosely adapted from The Skinny Taste, also not very "skinny"
Melt butter in a large pan over medium heat. Add onion and cook until translucent (3 minutes). Add flour and cook for a minute or two, then whisk in the chicken broth. Cook until the sauce thickens. Add chilies, jalepeños, and season to taste. Let the sauce cook for another minute and then remove from heat. Stir in the sour cream. Though the filling for these enchiladas is almost identical to the other batch I made, this time I used pre-cooked chicken to save time. Saute onions and garlic until soft, about 3 minutes. Add chiles, waters, bullion cube, and cumin. Mix well and cover. Let the sauce simmer about 15 minutes, then add chicken. Cook for several minutes and then set aside. Again, fry your tortillas in vegetable oil for a few minutes and let cool on a paper towel. 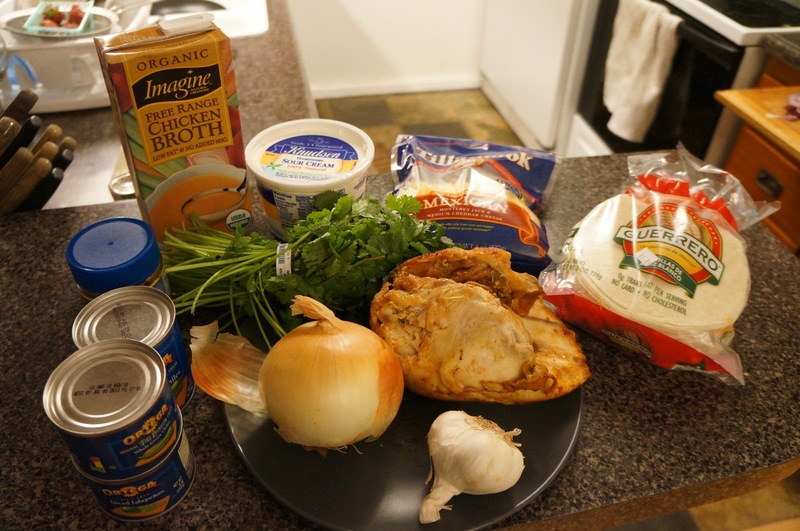 Spoon your chicken mixture into the tortillas, roll up, and set in a greased baking dish seam-side down. Cover in your green chili sauce and cheddar cheese, and then bake for 20 minutes. 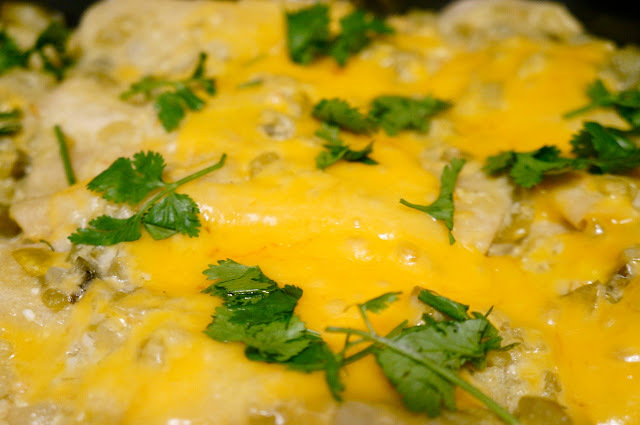 Top with cilantro, sour cream, or, if you're like my father, douse in habanero sauce! Perhaps if I'm feeling daring I'll tackle a mole sauce next. I'd like to try different fillings, as well: veggies, steak, pastor... the possibilities are endless! 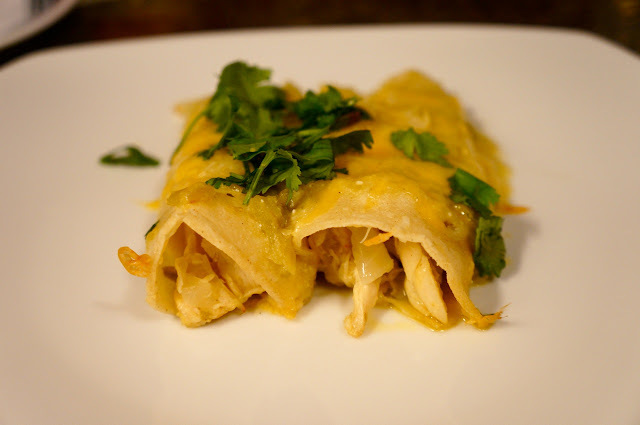 What's your favorite enchilada combo?